What? 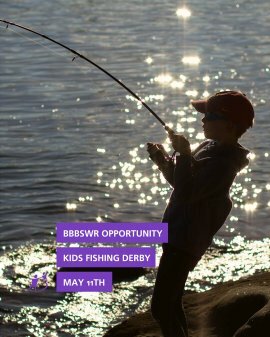 : Cast your fishing rod and reel in a fun morning at the Kids Fishing Derby, followed by a hot dog lunch! Please RSVP below by Thursday, April 18th at 9 AM. While some rods are provided, if you have your own please bring them! What? 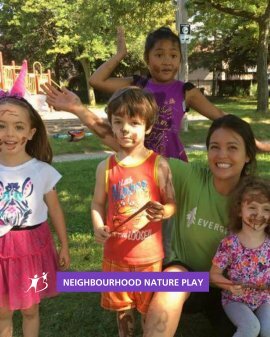 : Free nature-based programming at the park designed to help children and their families connect with nature through games, activities, and crafts. See the information flyer here. What? : An exciting overnight summer camp opportunity! 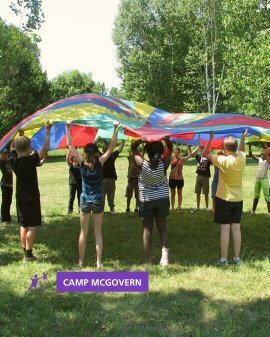 For general information regarding Camp McGovern please visit their website. The camp fees are $395 per camper for general sessions and $310 for the short sessions. There is also a $20 bus fee. These fees have already been subsidised through Camp McGovern fundraising and donations who have tried to keep their fees down. Unfortunately, BBBSWR will NOT be able to provide additional subsidy to send any campers to Camp McGovern this year. If you are interested in seeking out potential subsidy opportunities, consider applying for Jump Start funding (http://jumpstart.canadiantire.ca/en.html). If you are interested in registering, please RSVP below and we will send you the information needed to register your child online. For opportunities marked “RSVP”, you are required to complete the form below. Tickets are given out on a first-come-first-served basis and are only available to those involved with our agency. Tickets will need to be picked up at the BBBSWR office between 9:00 AM and 4:30 PM on weekdays. Please fill in the form again if you are interested in more than one opportunity. If you'd like to request more, please write below and explain. Want to let us know anything?